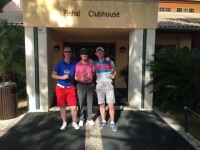 Online tee times are not availabile for Pinhal. 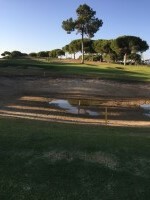 This popular course in Vilamoura runs through a pine tree forest typical of the area. The first holes wander past the mature holiday villas that line both sides of the fairways. Carefully placed bunkers makes the course very enjoyable to the average player. 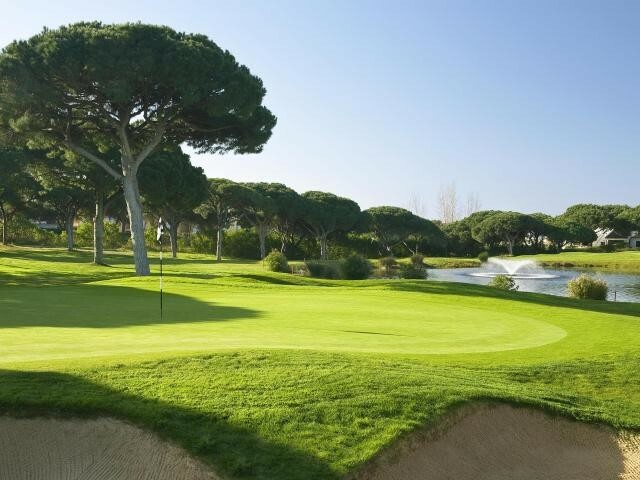 The Pinhal Course is a good test to the choice of individual clubs and the player's accuracy. The fourth hole which is a par 4 is a demanding to achieve with water hazards waiting for the wayward shot. The par 3 eighth hole which is only 149 metres in length may prove to be more tricky than it appears at first sight. The last nine holes home have generally have a more generous fairways. The fifteenth par 4 often proves more of a problem to reach par then to actually play. My Partner and I had an enjoyable game of golf. The weather was glorious for November and the course is well served with drinks and access to toilets. Staff were friendly and very welcoming. Lots of bunkers!!! Great course with some narrow fairways that are challenging. Greens were superb and the clubs we hired were Titleist. Friendly staff and great facilities. Would defo play it again. First time playing golf abroad. Great course with superb facilities and hire equipment. Shame I didn't play that good but there is always next year!! 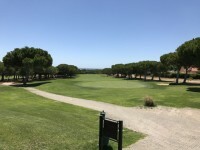 To post a review, score or a notice on Pinhal page's or to connect with other Pinhal golfers, please log in to your account or sign up using Google or Facebook.